After a tree has been removed, you may decide to remove the stump. If so, you will need an affordable tree service company to provide stump removal and grinding to be rid of it entirely. Good news: Concord Tree Services is that tree care company! You could, of course, have the stump cut low and covered with weed mat, rock or mulch. Or, if you are very creative, you might turn your tree stump after removal into a lawn chair or decorative piece for your yard. Or have a chain saw artist carve a sculpture. But these options may not be practical and besides, this same stump could also be a trip hazard if not removed. Many people don’t know what to do about their tree stump; we do! So, it might be less difficult to just grind the stump and haul the debris. Only you can decide if a tree stump left in your yard is an eyesore. And, as it decays. it can also be a breeding ground for insects like termites which can spread throughout your property. 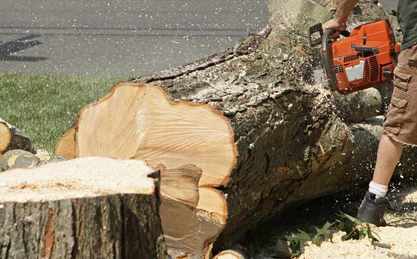 ​Call the experienced arborists at Concord Tree Care today for your tree stump removal! Tree Stump Removal or Stump Grinding? Tree stump removal and stump grinding are both great options, depending on the situation. The ground up pieces of tree stump are disposed of or can be turned into valuable mulch for other purposes for your tree care maintenance. Ensuring that no roots remain in your tree’s area mean that you never have to worry about them growing into and damaging your concrete, such as your driveways, walkways, and your property’s foundation. The tree stump and its roots can be chopped up after stump removal, providing firewood or as a means of creating mulch. 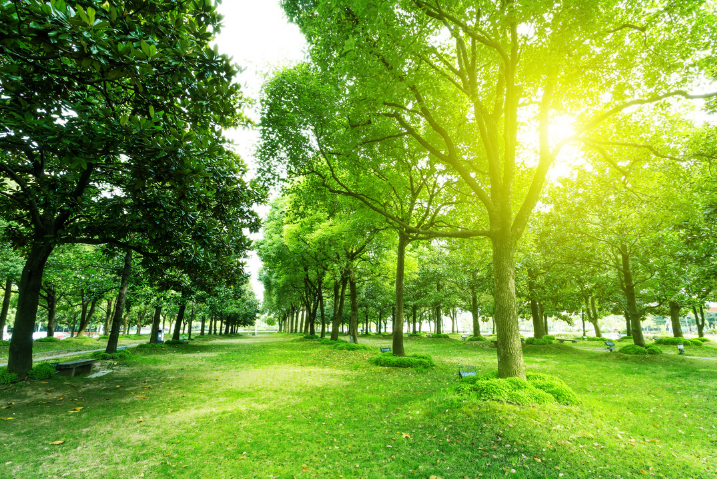 If your property ever needs to have new plumbing installed beneath the ground (which is something that should be done every ten to fifteen years to avoid problems) having a tree care company like Concord Tree Services remove your stump makes the work much easier by eliminating the roots entirely. 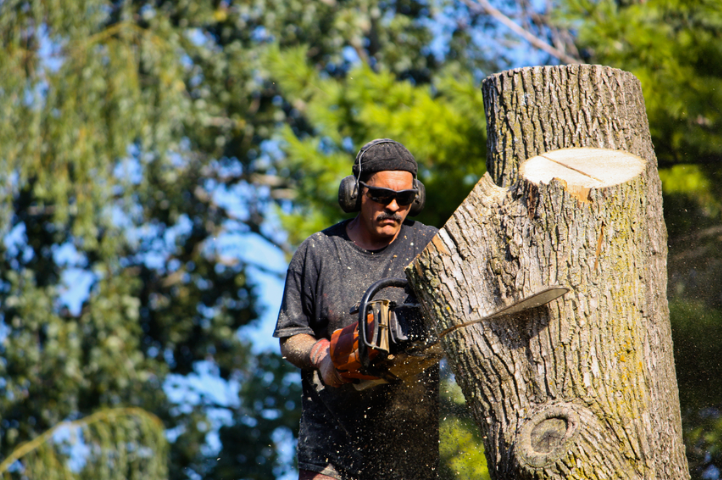 Depending on the size, species (because some trees grow wider and deeper roots than others), and age of your tree, your stump removal or grinding may be a necessity. Our experienced arborist will assess your stump removal or stump grinding needs and consult with you on the best course of action to take. 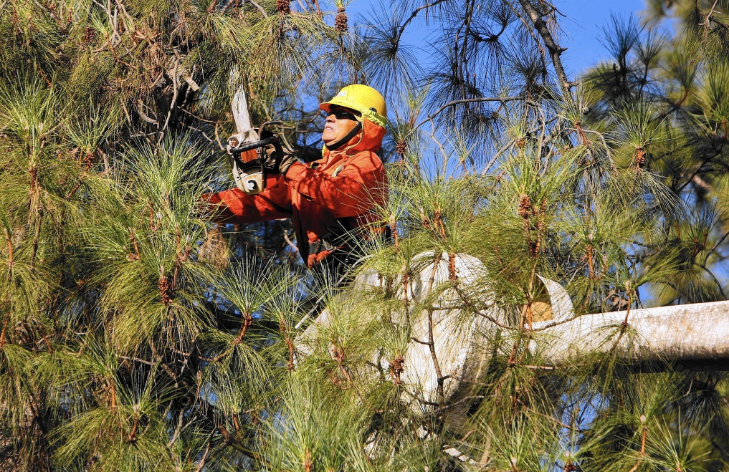 Concord Tree Services is a tree care company that makes affordability and customer service a top priority! When dealing with something as potentially major as tree stump removal can be, you want to know that you are in the hands of highly experienced professionals. 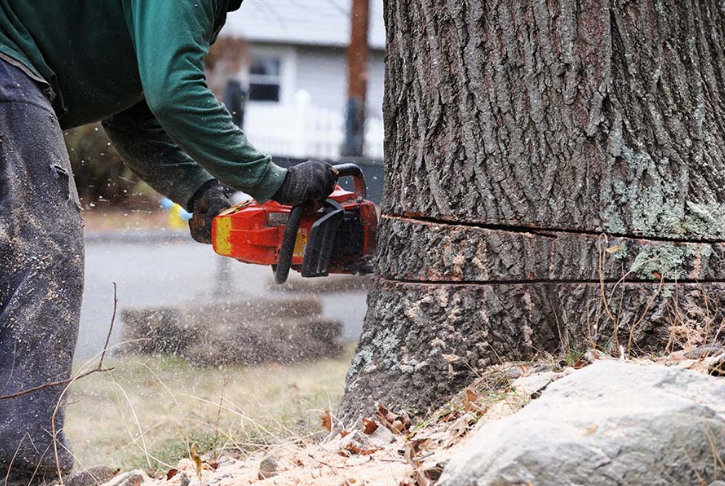 The staff at Concord Tree Services has years of experience in stump removal and tree stump grinding. We are also a company that believes in being transparent and above board in all that we do. Treat your property lightly - We care. 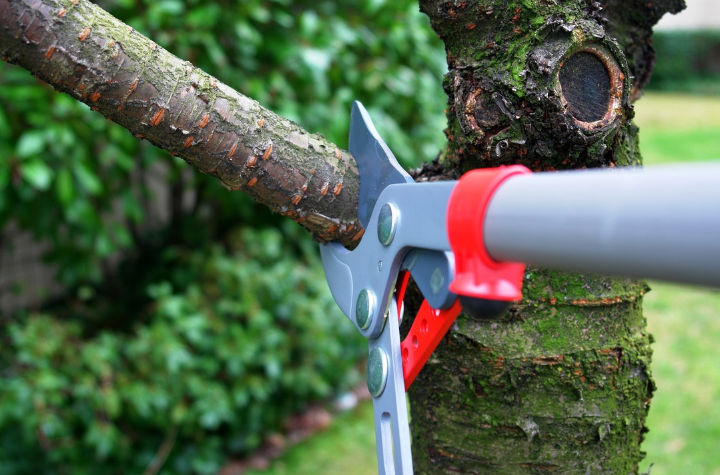 Other tree service contractors may not make those kinds of promises because they may be interested in their bottom line more than dealing honestly and fairly. One of the biggest things that set us apart from those other tree service companies is our commitment to making our work affordable. We start by staying in contact with our customers throughout the entire process, giving you updates on the progress of our work and keeping you informed of anything that might change or alter our plan (like finding a root wrapped around an underground power line for example). Concord Tree Services also remains affordable by offering rewards to employees that find ways to work smarter, not harder. Happy people are more productive, accurate and safe! Happy people pay attention to detail. We also make sure that our experienced estimators provide you with the most accurate quotation for our work, which means there are no surprises when the bill comes. Finally and possibly most importantly, we take safety very seriously. Time lost on the job due to an injury should never be a reason to extend a deadline or increase the price we quoted. By taking safety seriously, we mean that we train each craftsman in proper safety practices and to be alert and pay attention during every moment on the job. Of course, stump removal requires the proper equipment, especially when the stump location is not so accessible. 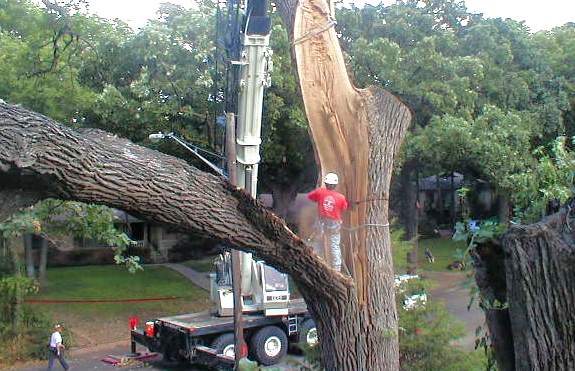 Difficulties removing stumps can arise when trees have grown too close to buildings, walls or other structures. This lack of access to the stump. require special equipment and stump removing experience / abilities. 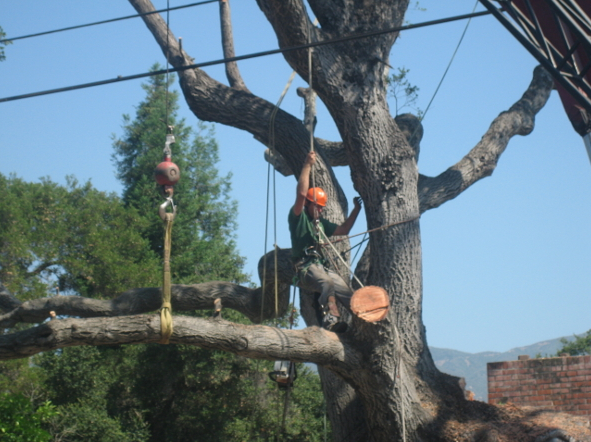 There are remedies for this "lack of access" difficulty and Concord Tree Services has the proper equipment and abilities to remove even the most difficult, inaccessable stump. So, if you have a stump or tree in need of removal, we invite you to call for a free estimate.